It’s important to carefully choose the best flatware for your venue, and our disposable wooden cutlery is the best choice. Not only are our wooden forks, knives, spoons, and mini spoons modern and fashionable, but they are also eco-friendly. Each wooden cutlery piece is carefully crafted to be gorgeous, durable, and friendly towards our environment. Our wooden cutlery is made from sustainable birch wood. 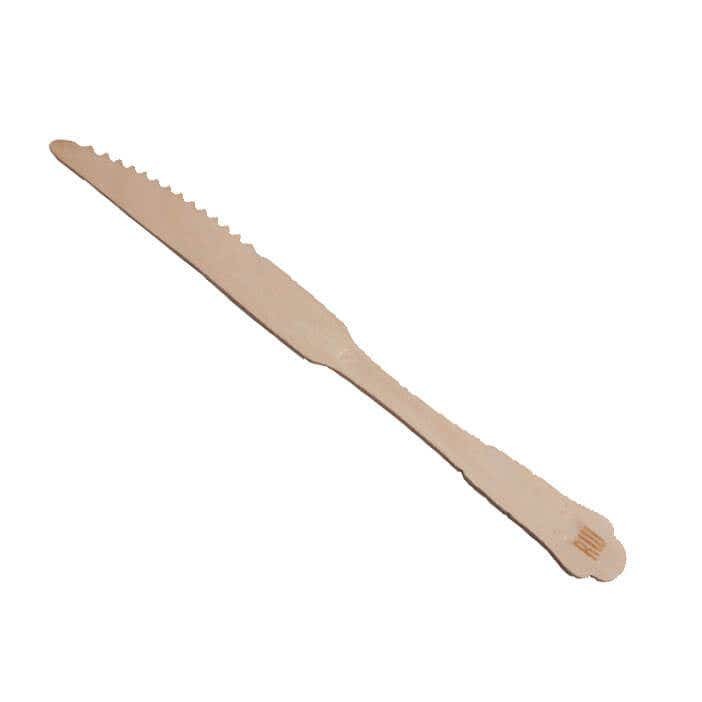 Each item is made from 100% organic materials and are biodegradable, so you won’t have to worry about where this disposable flatware ends up. Wooden flatware is not only an eco-friendly alternative to other disposables, but it also has a stunning look. We have two different styles of wooden cutlery – Baroque and regular. Although our regular wooden cutlery is chic, sometimes a little more decorative flair is needed for important affairs. 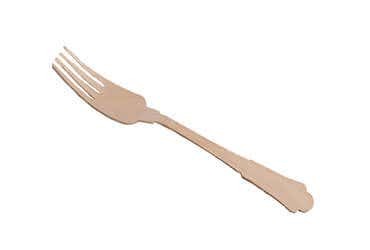 To solve that issue, we also offer Baroque wooden cutlery, which has a fancier handle and fits many themes. Both styles are so stylish that your customers will forget that they are using disposable tableware. 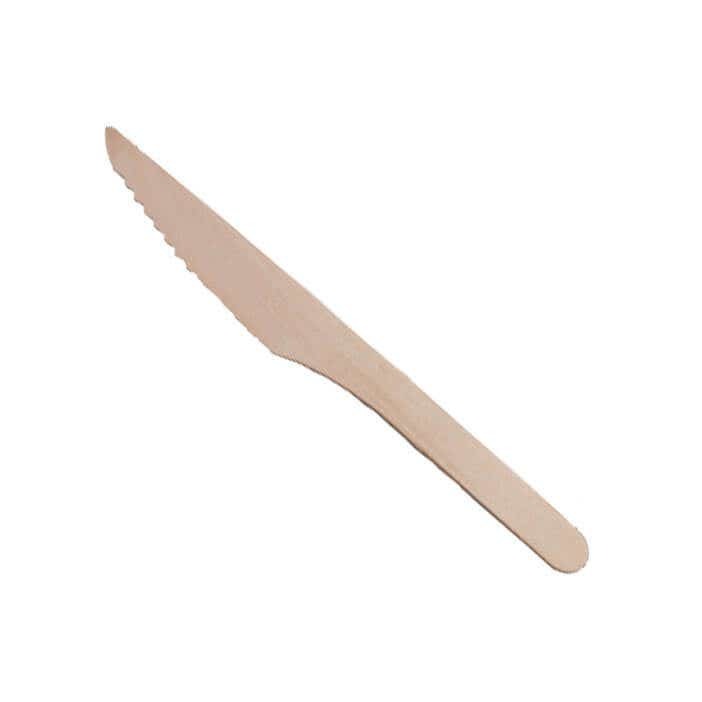 Chefs across the world love using our disposable wooden cutlery. Whether you are running a black-tie event or serve guests in a casual café, we have the perfect disposable cutlery option for you. 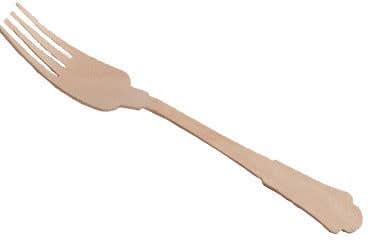 Many catering businesses, gourmet chefs, bakers, and baristas find multiple uses for this cutlery. Whether your looking for a charming addition to your tables or something stylish to send home with to-go meals, our wooden cutlery is the best choice. Our Baroque wooden cutlery is a stylish alternative to ordinary designs. This adds a decorative flair to any table so they stand out. With the premium material and extraordinary design, your guests and customers will forget that these are disposable tableware. The luxurious feel and look will impress customers continuously. Each Baroque cutlery has the modern RW logo. This makes the statement that not only do you appreciate fashion, but you also strive to be eco-friendly. Our regular tableware is the classic style. 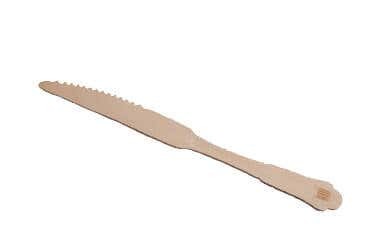 These are thicker and sturdier, so they are more durable than our Baroque wooden cutlery. Regular wooden cutlery is easier to grip, so customers of all ages will be able to use them. Although these don’t have a specific design on the handle, they still have a modern feel because of the material. 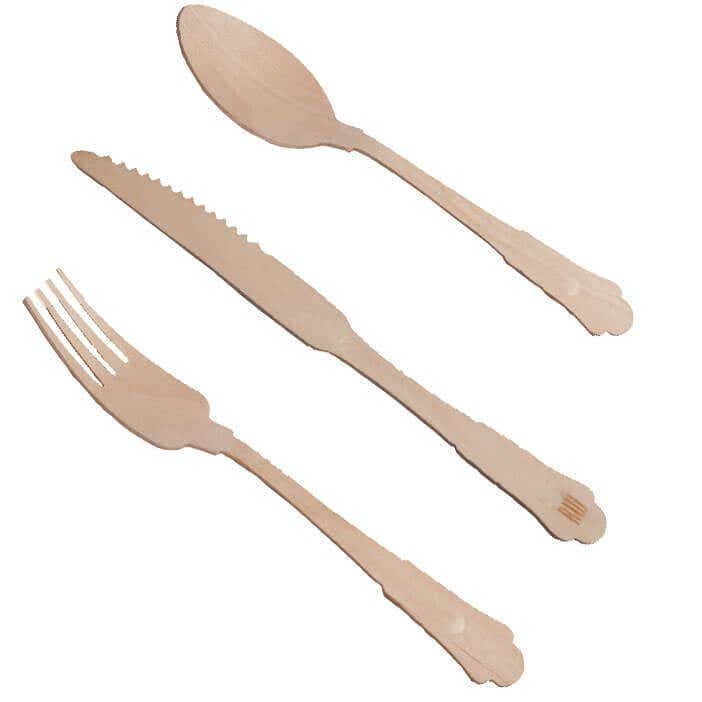 Your customers will love the smooth feel and eco-friendly design of our regular wooden cutlery. 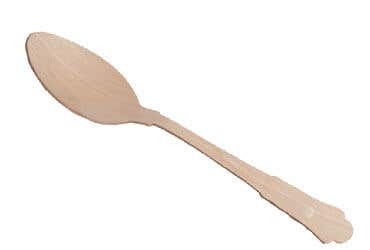 We have standard options in our wooden cutlery – forks, knives, spoons, and mini spoons. Thus, we have the basic necessities for your tables. Each customer will love the thought you put into providing them with luxurious necessities. We have different sizes including 5.5 inches and 6.5 inches for our regular cutlery; and 7.85 inches for our Baroque wooden flatware. Our regular mini spoons measure 4.25 inches. 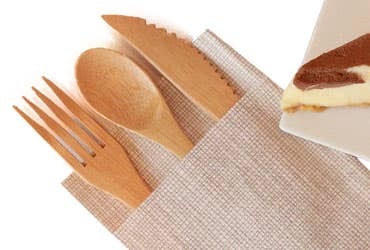 Not only is our wooden tableware made of 100% organic wood material, but, like stated before, they are also biodegradable. This means that they don’t take long to break down, instead of staying intact at landfills for hundreds of years. The breakdown process does not release toxic chemicals into our atmosphere, so it is healthier for our planet. At Restaurantware, we strive to bring you the eco-friendliest and most attractive tableware available, and our wooden flatware is a great balance of those qualities. A main concern of many who consider using wooden tableware is the risk of flavor transfer. With our wooden cutlery, we ensure that they do not interfere with your delicious creations. We only use the highest quality material in our wooden cutlery, so our products are the best available. We also ensure that our items are affordable, so you can keep your customers and wallet happy. Wooden cutlery is a great way to save money without sacrificing quality and style. Each utensil is carefully crafted, so they are durable and resilient. So, when using our wooden cutlery, you can be sure that you are getting the most bang for your buck!